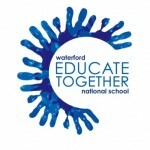 Egg cartons needed for planting seeds | Waterford Educate Together N.S. Muinteoir Dearbhaill is looking for the bottom part of cardboard egg cartons to use for planting seeds. She does not need the top part of the cartons however! If you have any of the bottom parts of egg cartons please leave them with M. Dearbhaill in the yard at 8.40 in the mornings or pupils can drop them in at her room downstairs just inside the front door.